Over the past decade we’ve seen several attempts by Chinese doctors to use convalescent plasma (or sometimes serum) as a treatment for severe influenza – first with H5N1, and then later with novel H1N1 during the 2009 pandemic. Results have been mixed, but they’ve reported some success. While the words `plasma’ and `serum’ are often been used interchangeably, they are not exactly the same, as Serum = Plasma – clotting factors (fibrinogen). Serum is more difficult to separate than plasma. Recently, however, we’ve seen a resurgence in interest in convalescent blood product therapy with the rise in both Ebola and MERS cases around the world, neither having a well-established treatments. Earlier this summer we saw Korea Trying Convalescent Serum Treatment For MERS and over the past year there have been a couple of small clinical trials using convalescent plasma conducted in Western Africa for treating Ebola. Several Ebola patients in the United States also received convalescent blood products as well. 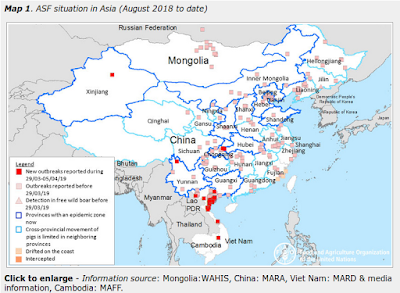 Over the past three winters H7N9 has become China’s biggest bird flu threat – far eclipsing H5N1 - and while the total number of infections is unknown, 679 laboratory-confirmed cases and at least 275 deaths have been reported to WHO. Among those sick enough to be hospitalized and tested, that’s a 40% fatality rate. While NAI antivirals (Tamiflu, Zanamivir & Peramivir) have proven effective for many patients when administered early in their illness, some patients develop spontaneous resistance, and others simply need more than just antivirals to combat this infection. Although it may have been tried before, we’ve the first journal report of using convalescent serum (along with antivirals) on an H7N9 patient, one which appears to have produced a favorable outcome . One case isn’t enough to make a judgment, one way or another, but a good result is encouraging. •The mortality rate for avian-origin influenza A (H7N9) infections remains high (52%). •We successfully used convalescent plasma to treat H7N9 infection in a 45-year-old man. •We are the first to use oseltamivir and convalescent plasma to treat H7N9 in China. In January 2015, there was an outbreak of avian-origin influenza A (H7N9) virus in Zhejiang province, China. A 45-year-old man was admitted to the First Affiliated Hospital of Zhejiang University with a high fever that had lasted 7-days, chills, and a cough with yellow sputum. Laboratory testing confirmed infection with the H7N9 virus, likely obtained from contact with poultry at a local live poultry market. A large dense shadow was apparent in the patient's left lung at the time of admission. Treatment with oseltamivir (75 mg twice daily) did not improve the patient's condition. The decision was made to try using convalescent plasma to treat the infection. Convalescent plasma was administered three days after the patient was admitted to the hospital and led to marked improvement. To our knowledge, this is the first case to report successfully using convalescent plasma to treat an H7N9 infection in China. Our results suggest that the combination of convalescent plasma and antiviral drugs may be effective for treating avian-origin H7N9 infection. A PRELIMINARY PDF FILE is available for downloading.